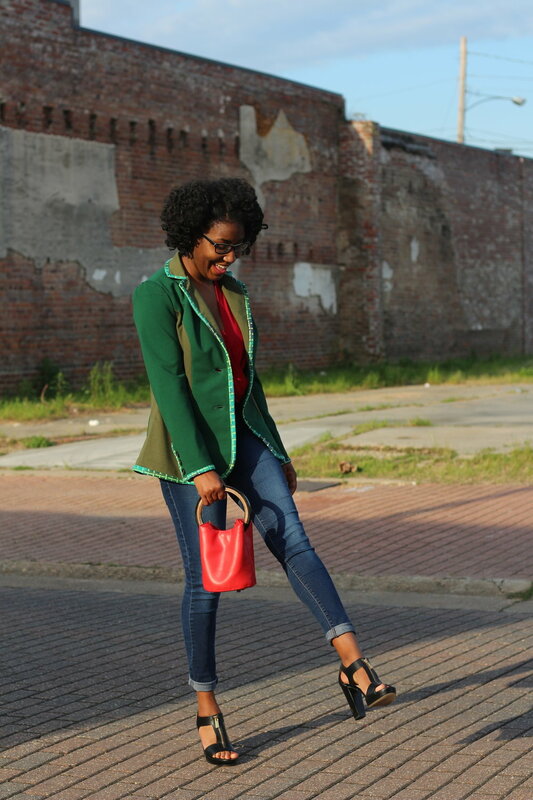 The jacket is unlined with princess seams, and Symplicity gives you two ways to finish the seams if you are using a woven fabric to hide fabric fray. Since mine was made with knit, I serged my seams instead of using the recommended finishing techniques. For interfacing, I used Pellon ek130 as the stabilizer. The olive green ponte was a lighter weight than the olive green ponte, so I interfaced the back panel pieces as well. I am hoping to make a full suit later this year using s1421 for the blazer, so this green blazer is a muslin. I will need to make a few adjustments to the back, and I also think I need to grade down a size for the armhole. 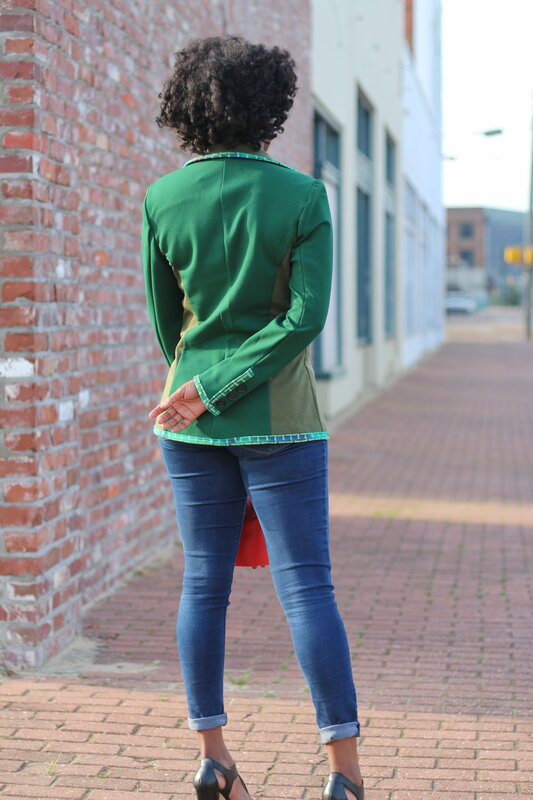 I styled this blazer with my Simplicity 8513 bodysuit (I will be blogging about it pretty soon), jeans, and my Michael Kors sandals. I really love this jacket, I do not have anything like this in my wardrobe. I am happy that I stepped outside of my comfort zone with the bias tape finish because I really love the finished product. Hope you all are having fun planning your spring wardrobe!